Punk Rawk Labs (PRL) is Minneapolis based woman owned startup founded in 2010 in response to a personal health crisis. At the time, there wasn’t anything on the market like it. A dairy free cheese that was actually fermented and tasted cheesy? What!?! The cheeses developed a life of their own, and an unmet need had been tapped. Since that time, a whole category of nut milk cheeses has emerged in the marketplace. 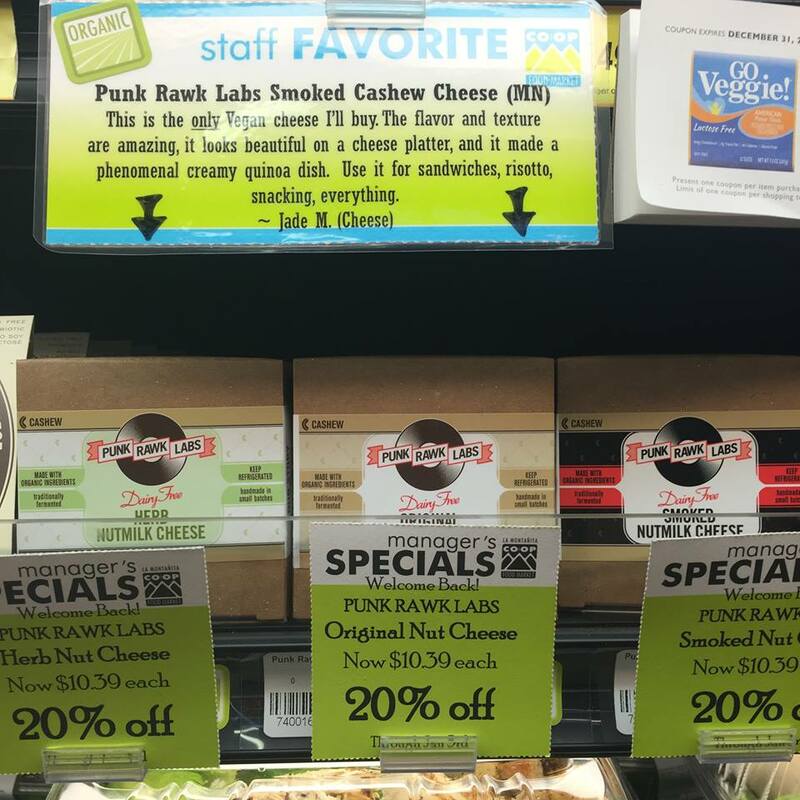 Now PRL is competing with well financed national brands in the growing field of dairy free cheeses. In an effort to remain competitive and level the playing field, PRL is launching a campaign to reach certain goals. We are offering a number of amazing prize packages for people who are wanting to get involved in our growth. Not everyone can afford to donate. We understand! Please feel free to share our story with others who may be interested in seeing this product become more available. Thanks for your support! Punk Rawk Labs wouldn't be here today if it weren't for the support of people like you! $10 Free download of ‘American Cheese’ (the theme song to our uncooking show ). Written and performed by founder, Alissa. $25 Free download of Vegan Chocolate Torte video. Dazzle your friends this holiday season. $30 Try a sample cheese. Your choice of original, herb, smoked, or nacho. Hello again! It's been a while since I posted an update. We have actually been super busy. This campaign is definitely sparking some momentum. THANK YOU for helping us get the word out. Lots of big developments this week. Not sure if you knew, but the first vegan butcher shop opened this week. Right here in Minneapolis. Our hometown is turning into a hotspot for vegan businesses! The Herbivorous Butcher is the name. And they had a line around the block attracting international attention! So happy for them! It's a little insane how much of our cheese they have sold. Mind blowing. In a good way! Yesterday, we hosted the Minnesota Academy of Nutrition and Dietetics. We did a tour of our facility followed by a reception at another amazing woman owned business across the street, Yoga For Every Body. 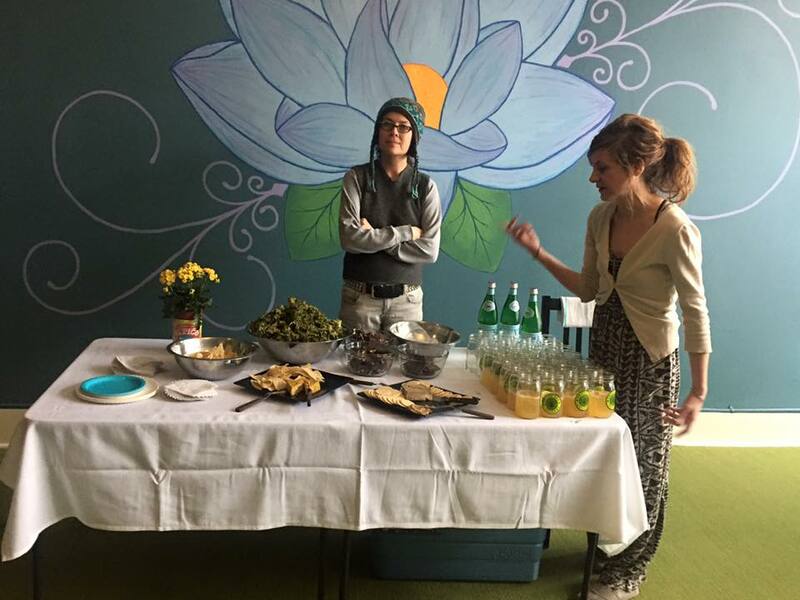 It was so lovely to connect with a friendly audience that appreciates the wellness aspects of our cheese. This was the intention that sparked the creation of the cheese and it's what truly sets us apart from other vegan cheeses on the market. So it was a pleasure to make that connection. There have been many more exciting developments to share. Too many for one post! I cannot express in words how much this little campaign is helping us. But I will try. More updates soon! MN Academy of Nutrition and Dietetics. Hello everyone and Happy New Year! We are off to a roaring start over here. This week has been kinda transformational really. This little campaign is making waves, and we are feeling them. Thank you so much for helping us get our story out there! Just a quick update on packages. We are almost caught up! We are getting very close. I've pictured here one of our collector's edition circle tins. This is one we made for Abe (shipping out Monday!). This is what the cheese looked like when we first started out. Back in the day. We eventually had to switch to squares because the stores were complaining that the circles rolled too much on the shelves. But they were awful cute. Weren't they? We've been starting to really feel connected to community these days, and it's definitely a beautiful thing. A nice shout out this week from PETA. Thank you for that! Also, something kind of exciting happened this week. We got an email from the editor of Bon Appetit magazine. She wanted samples of the cheese to taste and take pictures of for an article they are doing on artisan vegan cheeses! Can you believe it? We actually shipped some cheese this week to World Trade Center Bldg in NYC. Talk about feeling connected! We are starting the year off with a bang. Thanks for all your help on this! It's really making a difference! Hello out there and Happy Holiday season! 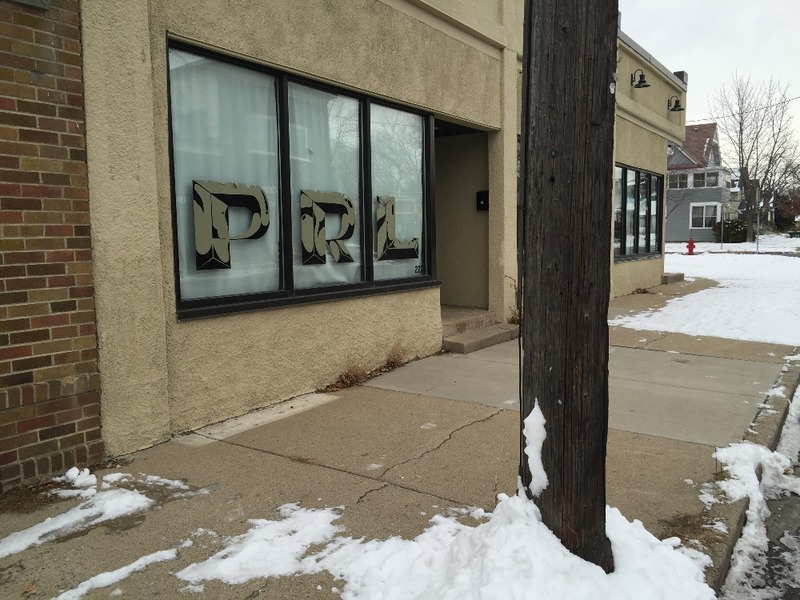 It's a wintery day here at PRL headquarters in South Minneapolis, but we are bustling over here getting packages ready. Even if you are not one of these two folks and haven't gotten your package, please reach out! And if you got your package and you just have something to say, reach out! The whole point of this campaign is connection! In other news, we have some exciting updates! We really want to thank VegNews magazine for doing a story about this campaign yesterday!! Such a huge honor. Hey everyone. Alissa here posting an update. Things have been a little crazed lately being the holidays and all. But I love the holiday hustle and bustle. Yesterday, our friend, Yon, demoed the cheese at La Montanita Co-op in Santa Fe, MN. He absolutely CRUSHED it! He sold out their entire cheese supply in about 3 hours! So the cheese made a brief appearance in Santa Fe yesterday. It's getting around! Hope you enjoy this recipe. It was a holiday game changer for me. PRL on the shelf in Santa Fe, MN. Free download of ‘American Cheese’ (the theme song to our uncooking show ). Written and performed by founder, Alissa. Free download of Vegan Chocolate Torte video. Dazzle your friends this holiday season. Try a sample cheese. Have one of our cheeses (your choice of original, herb, smoked, or nacho) shipped to your door. 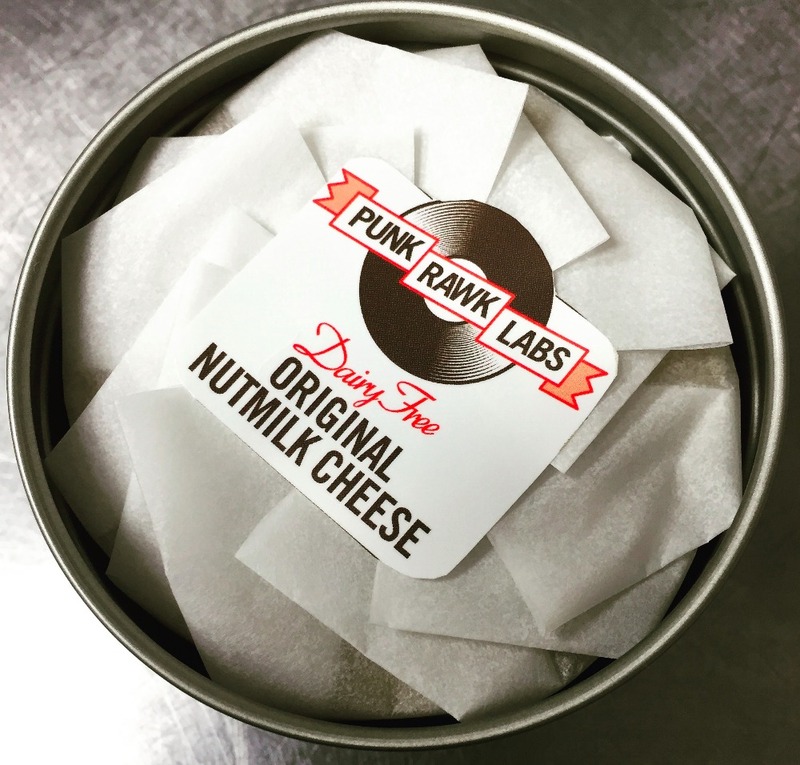 Davis, CA needs Punk Rawk Labs vegan cheese! I am very excited for you all! This is an incredible product. Such a pleasure to meet you today with the MAND tour! !